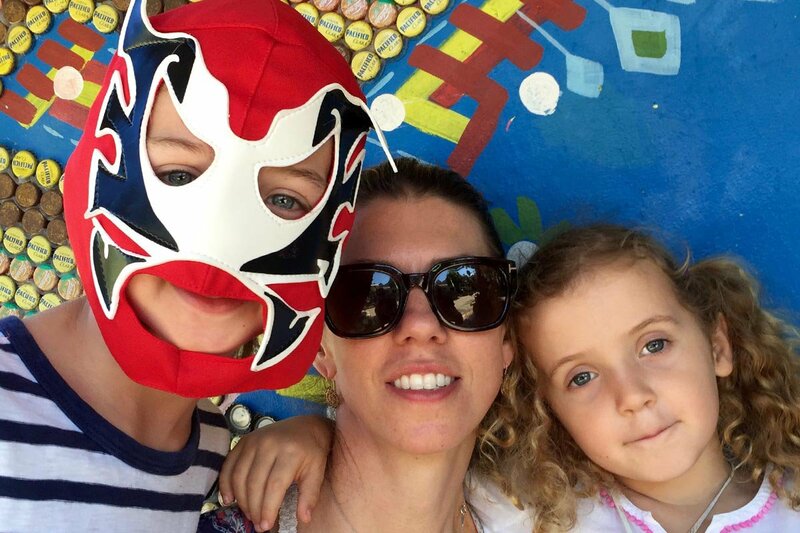 The author with her kids in Mexico. All photos courtesy of Kid & Coe. When Zoie Kingsbery Coe had children, it made traveling the globe with her international DJ husband a little bit trickier than before. She founded the family travel site Kid & Coe to serve jet-setting families looking for alternative accommodations to five-star hotels. She passed along a few travel tips and a list of her favorite rental homes in popular destinations. Tip 1: Do your homework together. We spend time researching the destination we're going to online. (My school-age kids love computer time!) We look at the key attractions and get a feel of the history of the place before we go, do a general scope-out of the must-see playgrounds, and look into children's programming in theaters and museums. Tip 2: When it comes to packing, it's every kid for him/herself. My children do their own backpack packing for the flight. We buy them a new book, put new movies on the iPad, and add a new sticker book or two — you can never underestimate the power of novelty. I pack their clothes — PJs for the plane so they arrive fresh — and use those amazing eBags to pack a lot of bags within the bags. Organization is key! If we're staying somewhere for a few nights within a longer trip, we pack an eBag with a few days' worth of items so that we can leave the rest of the suitcase intact. Tip 4: Beat jet lag ASAP. Acclimate to local time as soon as possible and expose the kids to natural daylight as much as you can to reset body clocks. Children usually adjust quicker than parents. Melatonin gummies are a good idea too. Tip 5: Look for experiences. With my children (ages 5 and 8), I'm looking for an enriching component to every trip. We spend so much time on the beach in Ibiza that I want to add something cultural and different when we go away — Washington, D.C. and Florence are good examples of destinations that suit us right now. The living room at Ipanema No.1 Residence in Rio. 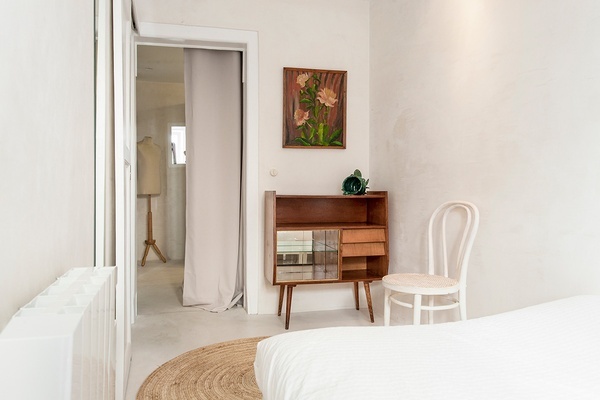 The bedroom at Patio Residence in Lisbon. One of the key things that fuels Kid & Coe is our community. Our hosts are amazing! They make the site what it is, offering beautiful homes to rent and fantastic hospitality. Copenhagen continues to be really popular with family travelers and is such a great city for design (and cycling). Sankt Knuds Residence is right in the heart of the action. With the Olympics coming, everyone is going to see how great this city is. Ipanema No.1 Residence has views of the surfers on Ipanema beach and fantastic Brazilian art to admire. We keep hearing great things about Seattle. 19th Avenue Residence is a great pad in the Capitol Hill neighborhood. It's a perennial favorite. Oceana Beach Club Hotel is steps from the beach with a nice menu of activities like yoga and hiking. We're loving Brooklyn for the wonderful restaurants and family programming. Stay at Cuyler Gore Residence, steps from the Brooklyn Academy of Music. Lisbon is on our radar for good value and great food. We love Patio Residence in Principe Real. Sydney is a team favorite for the wonderful mix of beach and urban culture. 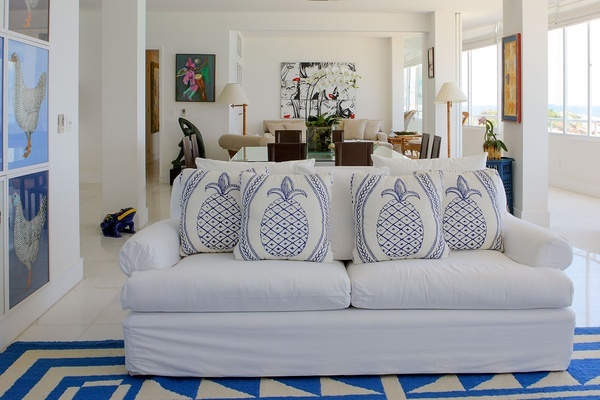 Berry Road Residence is one of our best properties in the city, close to parks and the beach. Zoie is the founder of the family travel site Kid & Coe. She travels for the appreciation and gratitude of living in a beautifully complex world.